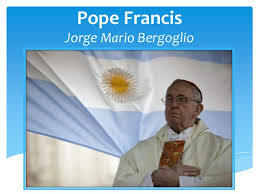 Calliing Jorge Mario Bergoglio an imposter might be offensive to some, and I can understand why. People pick their religious leaders much like they do cars. To most people it is an emotional decision, based on how one or the other makes them feel. It’s perhaps a great idea for finding happiness with a car, but deadly for the soul that uses the same criteria to pick a religious leaders. Why would I make such a statement? Because Jorge is just and will always be Jorge. Nothing more. Jorge happens to have walked in some very “religious” circles, and found himself quite convincing to some, that he possessed something they did not have. I am not sure what that is, but people flock to him to see a man in a robe whose name is Jorge. Specifically, he has no biblical purpose, other than to decieve men. ( We know who the Bible says the great deciever is.) He supports the idea that they need something more, (perhaps the Catholic Church) to get to heaven other than the simplicity of the Bible message of a relationship with Jesus Christ and nothing more; IE; the Sacraments, confession of sins to a “priest,” adherence to the belief that Jesus enters the Eucharist at each and every communion, and religious observations that include saying repeated prayers on the rosary, to name some. How can I make these statements? He also appears to be an imposter when it comes to a relationship with Jesus Christ. Do I know for sure? No one does, but I will say, any man who names the name of Christ who is willing to set up a One World Religion with Jews, Christians and Muslims, does not know Jesus as Lord, because the Spirit of God would prohibit him from doing so. It is antithetical to scripture, the whole counsel of God and His character. I mean no disrespect to Jorge, after reading the ABC News article, he’d be a fun guy to know. The Bible is clear about setting up idols and calling anyone Father except for our Father in heaven, not to mention adding Holy to ones name. If one understands the true holiness of the one and true God, one would not dare call themselves holy, or take on His name. I can say these things with confidence because as a child I was steeped in Roman Catholism and I know what I am talking about. I mean no disrespect to people of the Catholic faith who are “without wax,” vessels who are sincere about a relationship with God. To them I say, RUN, from what will be a very difficult system to leave. You will be excommunicated, shunned and told you are going to hell if you leave. If you don’t leave? Jorge has been set up as an idol to be used by the people to symbolize a god they cannot see. Which god is it? Israel worshipped many idols they called gods in the old testament, producing significant anger and chastisement by Elohim, the one true God.